Home » Blog » Why video & what is a brand Bite? I’m excited to announce I will be creating my own YouTube channel called Brand Bites a video series dedicated to helping your business reach its full potential. I’ll be talking about branding, marketing, and business! Here’s the link to the promo! Everyone Deserves to know the truth. The first reason I have decided to start an educational youtube channel about marketing and branding is that every day I see someone miseducating business owners on branding, design and marketing expertise. I hear things from, Your brand is the personality of your brand or if you only change your identity you’ve updated your brand. So much misinformed information and someone has to put a stop to it – so why not that let that be me! I thought the only way to battle this is to start my own channel to educate the correct information so that everyone is well educated to make informed decisions based on excellent advice. Cut through the noise of the everyday. Standing out in any industry is only to get harder and harder. 800% better conversion for pages that have a video on them along with 88% retention. Not to mention there is an average of 94%more views on average when video is included in your content. Holy. Crap. That’s A lot. I can also tell you my videos on LinkedIn on an average gain 70% more views than any picture I post. It just so happened that the right person saw my video. Now I am working with another amazing company because she saw it and loved the content! Demonstrate authority. There is no better way to show that you are the expert in your field than to put yourself in front of a camera and talk with passion about the thing you love – that kind of passion is contagious and people want to be a part of it. Evolve. Get on the train or get left behind. As we evolve as business owners we must stay relevant to be taken seriously. If you aren’t doing it your competition is. 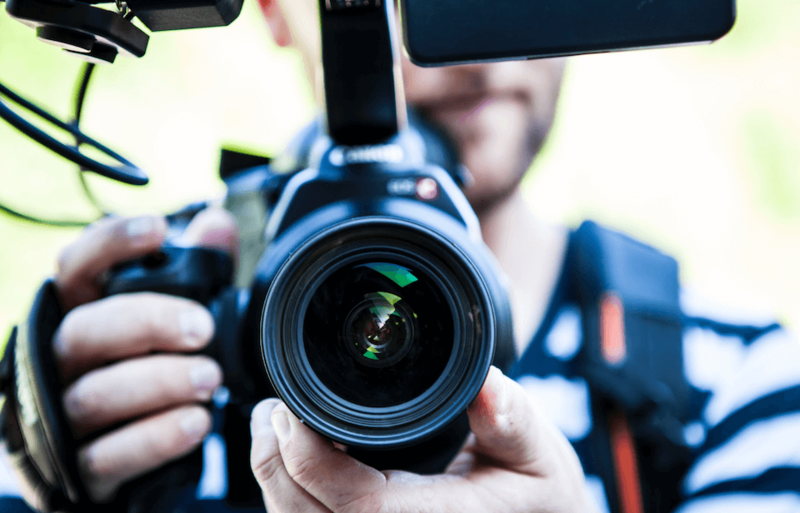 Are you ready to jump on the video bandwagon? Reach out to me and I can give you tips on how to set up your own branded studio to help reach your full potential and grow your business!